Australians in shark cull protest Jump to media player Thousands of people across Australia join a protest calling for an end to a new law which allows sharks to be culled. 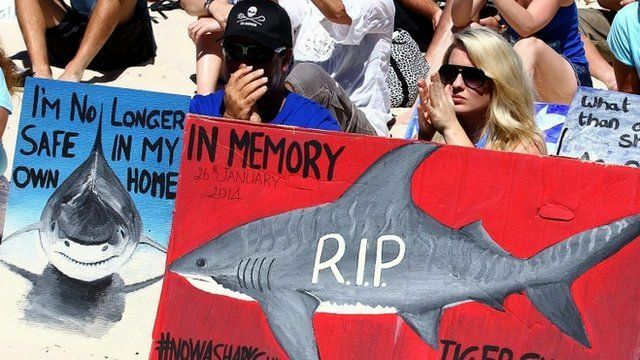 Australians protest against shark 'cull' Jump to media player Thousands of people have joined protests on beaches in Australia against a new policy which allows fishermen to catch and kill any large sharks they find. 'Shark-proof' wetsuits launched Jump to media player Two Australian businessmen draw on university research to launch what they claim to be the world's first shark-repellent wetsuits. Shark attack survivor saves great whites Jump to media player Jonathan Kathrein was almost killed by a great white shark who bit his leg. Now, the California surfer is campaigning to save the at-risk fish. 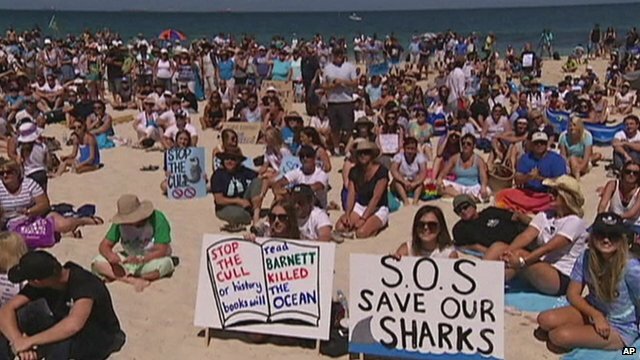 Thousands of people across Australia have joined a protest calling for an end to a new law which allows sharks to be culled. 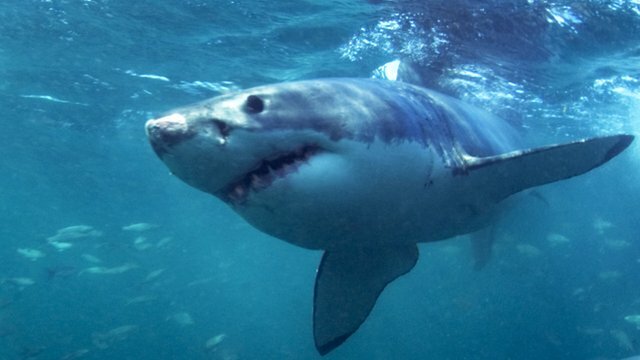 The biggest gathering took place in Perth, Western Australia, where there have been seven fatal shark attacks in three years. The government says that the deaths have dented tourism, and that beach-goers must be protected.